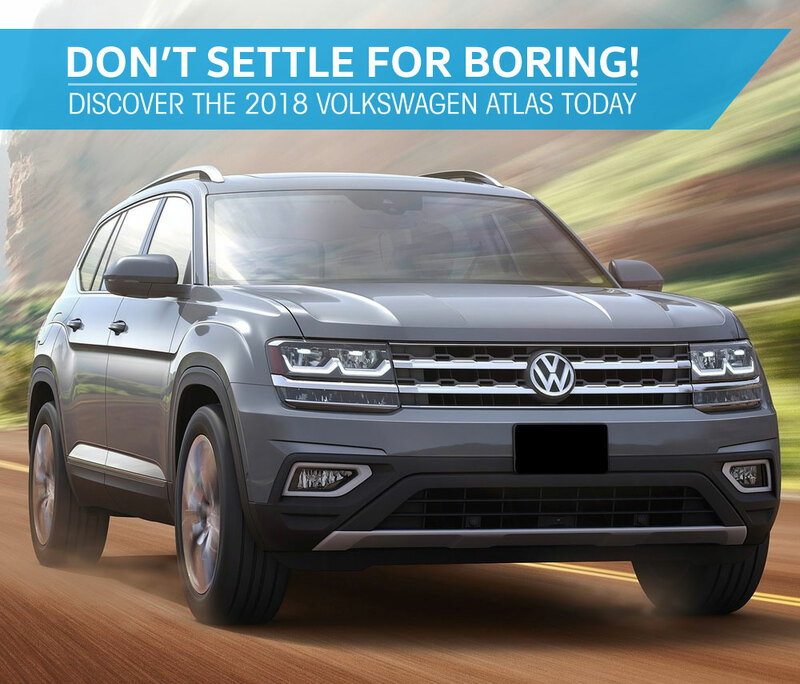 Why settle for boring when you can drive the 7-passenger Volkswagen Atlas SUV now at Southern Volkswagen Greenbrier! The 2018 Volkswagen Atlas has everything you need to take your family along on your next adventure or even just on your next trip to the park. Visit Southern Volkswagen Greenbrier near Chesapeake today to test-drive the 2018 Atlas today! The 2018 Volkswagen Atlas isn't your average SUV. For starters, it has an impressive and stylish exterior; so you can wave goodbye to those boring minivans you were considering. It has tons of different features to give you the versatility to make it your own. For example, there are available 20-inch wheel for a more aggressive look; and then there's the available hands-free power lift gate that makes it even more convenient to load up groceries and family gear. On the inside, it has space for everyone! The Volkswagen Atlas comes standard with 7 seats that are big enough for adults, 96.8 cubic feet of cargo space, plus an available panoramic sunroof that gives the illusion of even more space. Want to see all the features up close? Stop by Southern Volkswagen Greenbrier and test drive the new 2018 Volkswagen Atlas today! Aside from all the space and great family-friendly features, the 2018 Atlas is just plain fun! Featuring a full-suite of easy to use tech, the 2018 Atlas makes it fun for everyone onboard no matter how long the trip. The Volkswagen Car-Net® App-Connect with a 6.5-inch screen comes standard! It allows you to link your phone so you can stream music, take calls and do more hands free. Plus, with the available 12.3-inch Volkswagen Digital Cockpit, you can have all the information you need within reach without the distraction. More Power Or More Efficiency? - You Decide! Depending on the performance and efficiency you want, there are two engine options to choose from. Want a family SUV that can tow up to 5,000lbs? Then choose the 2018 Volkswagen Atlas with a 3.6L V6 and 8-speed automatic with Tiptronic®. This combination can produce up to 276 horsepower while still delivering an impressive EPA-estimated 25 MPG highway! Prefer less stops at the pump? Then choose the 2018 Volkswagen Atlas equipped with a 2.0L turbocharged 4-cylinder engine. You also have the option of upgrading both configurations to Volkswagen's advanced all-wheel drive system. There's nothing more satisfying than knowing your precious cargo is safe. Drive with that added confidence behind the wheel of the new 2018 Volkswagen Atlas today. Get behind the wheel and you'll discover a full safety suite designed with your security in mind. The 2018 Atlas comes standard with Intelligent Crash Response System. This system expedites safety for you and your passengers by turning off the fuel pump, unlocking the doors and activating the hazard lights in the event of an accident. The 2018 Volkswagen Atlas also offers safety aids that other vehicles in its class don't even offer, like Automatic Post-Collison Braking System, which helps reduce the chance of additional collisions after an initial crash. It's no wonder the NHTSA has given the new 2018 Atlas an overall 5-star safety rating. Plus, every 2018 Atlas comes with Volkswagen's 6-year/72,000-mile People First Warranty for even greater peace of mind! Buy your 2018 Volkswagen Atlas at Southern Volkswagen Greenbrier and the Southern Hospitality Program comes standard! That's right, you'll get a great suite of benefits included in your lease or purchase, designed to help you get the most out of your new Atlas! Take a look below to see just how much you can save with the Southern Hospitality Program from Southern Volkswagen Greenbrier! Now that you've read everything the 2018 Volkswagen Atlas has to offer, isn't it time you stopped by for a test drive? Visit Southern Volkswagen Greenbrier today and experience the 2018 Atlas for yourself! Our dealership also offers an extensive selection of new 2018 Volkswagen models in different colors and trims for your convenience! Don't delay. Start by scheduling your test drive now with our quick and easy form, then stop by today!